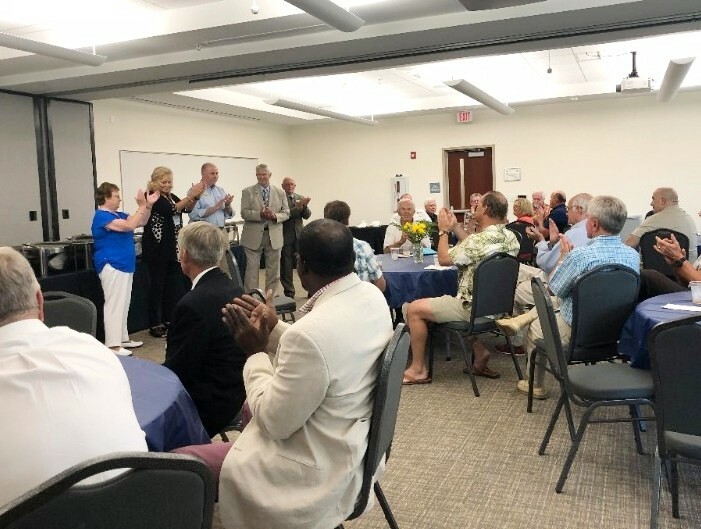 We welcomed newly appointed Town Board and Committee members and thanked those who have completed their terms with a reception recently, and also honored four very special outgoing Board Members with keys to the Town of Leland. 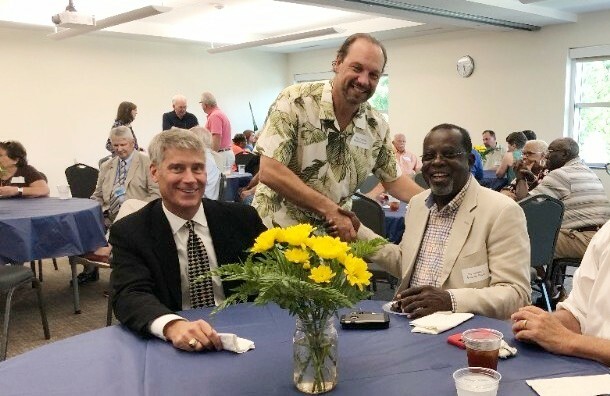 Pictured above are Walt Chmielenski (Parks and Recreation Board, 2008-2018), Michael Roberts (Planning Board, 2012-2018) and Mose Highsmith (Planning Board, 2013-2018). Charles Spittel (Planning Board, 2012-2018) was unable to attend the meeting but also received a Key to the Town. 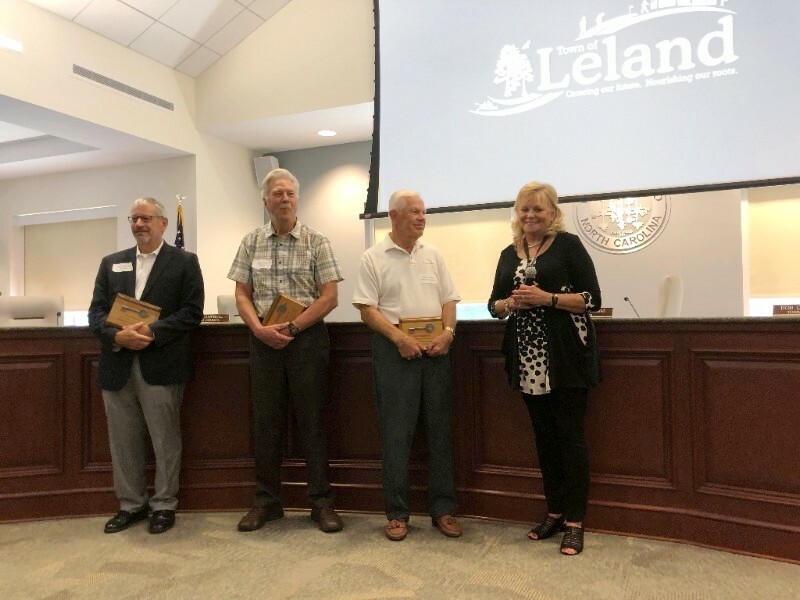 We sincerely appreciate the service and contributions these gentlemen provided to the Town of Leland. Leland Police and Fire/Rescue Departments are hosting a block party! 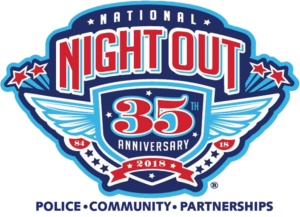 As part of the 35th Annual National Night Out, we invite you to have some fun, watch some safety demonstrations, enjoy some music and food along with the fine men and women of our Police and Fire/Rescue Departments on Tuesday, August 7 from 6:00 p.m. to 9:00 p.m. at Leland Municipal Park. Click here for details. We hope to see you there! 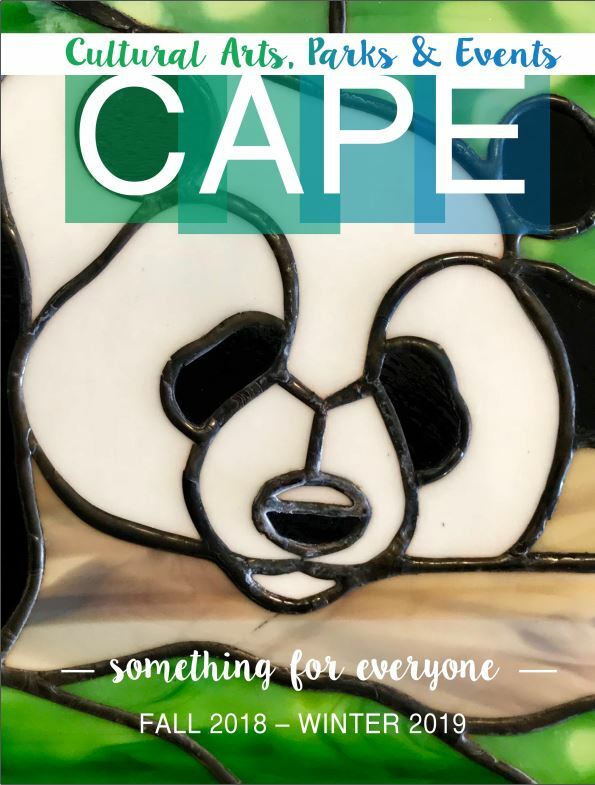 The Fall/Winter Edition of C.A.P.E. is on the way to shelves and mailboxes, and is available online. 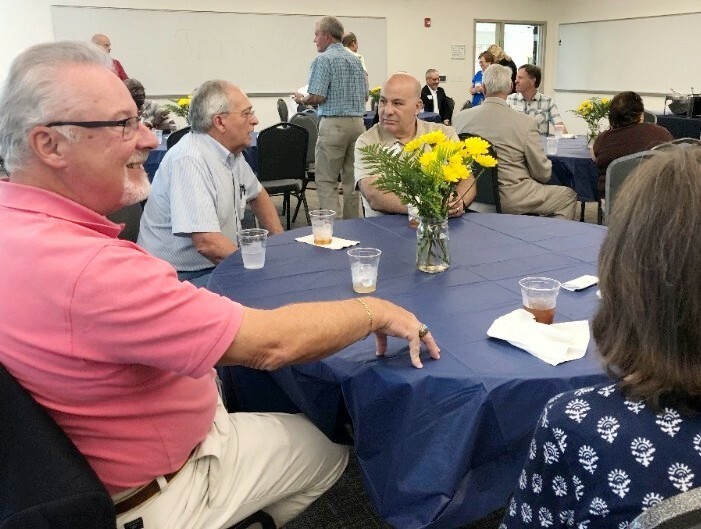 Browse through the next sessions of Leland Cultural Arts Center programs and classes, and read about all the great things the Leland Parks and Recreation team has in store. As summer comes to an end and children head back to school August 27 (traditional schedule) we kick off the fall season with Leland’s birthday celebration on September 8. 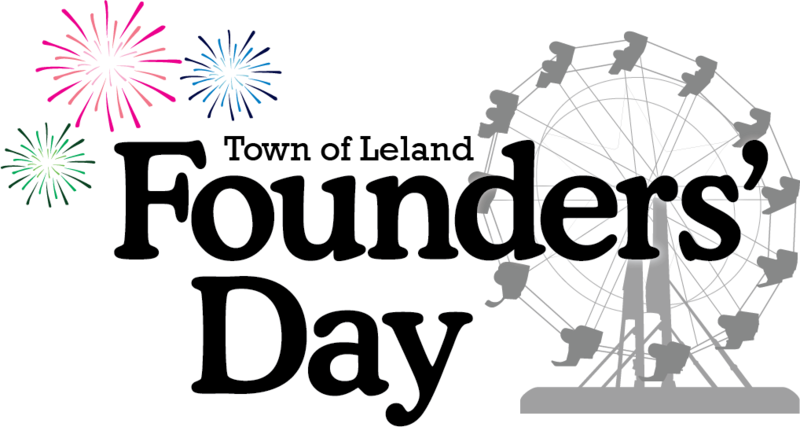 Founders’ Day is our Town’s biggest event, with entertainment, a carnival, vendors, food and so much fun! Visit the Founders’ Day page on our website and mark your calendars, this celebration is not to be missed! Join Leland Police Department, Leland Fire/Rescue and Town of Leland staff for our local National Night Out block party! We'll have music, food for sale from Poor Piggy's BBQ food truck, safety demonstrations, games and more from 6:00 p.m. to 9:00 pm on Tuesday, August 7 at Leland Municipal Park, 113 Town Hall Drive. 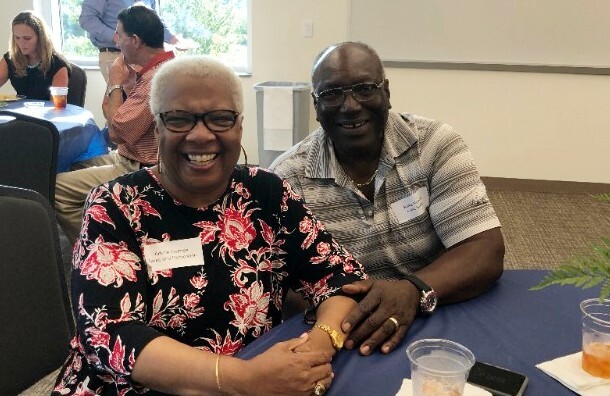 "National Night Out is an annual community-building campaign that promotes police-community partnerships and neighborhood camaraderie to make our neighborhoods safer, more caring places to live. National Night Out enhances the relationship between neighbors and law enforcement while bringing back a true sense of community. Furthermore, it provides a great opportunity to bring police and neighbors together under positive circumstances. Millions of neighbors take part in National Night Out across thousands of communities from all fifty states, U.S. territories and military bases worldwide on the first Tuesday in August." Assignment of a Development Agreement between the Town and Bishops Ridge, LLC pertaining to the proposed annexation of Brunswick County Parcel No. 05700055 in the Town. The matter to be considered at the public hearing on August 23, 2018 is assignment of the Development Agreement to Bishops Ridge, LLC. 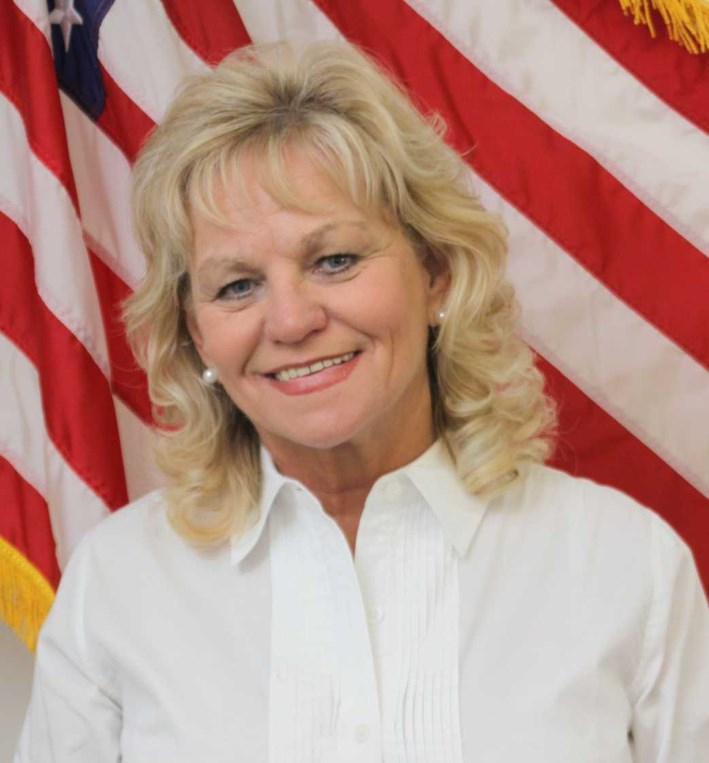 The property which is the subject of the Development Agreement is described in the Development Agreement and a copy of the Development Agreement may be obtained by contacting Sabrena Reinhardt, Town Clerk, at Leland Town Hall or by calling her at 910-332-4297. Text amendment removing the exemption of Section 50-145 for townhouse lots while continuing to allow access variations for those lots. Citizens can sign up for or against the hearing matter. Written comments will be received up to 48 hours prior to the meeting date. Any questions call (910) 332-4297 or email sreinhardt@townofleland.com. The public is urged to attend. Q: Do I need flood insurance because of the new FEMA flood zone maps? A: Flood insurance is required if a home has a federally regulated mortgage or insured lender and is located in a Special Flood Hazard Area (SFHA). Homeowners may be required to add a flood insurance policy depending on the changes to the FEMA flood maps taking effect in relation to the structure(s) on the property. The Town of Leland voluntarily participates in the National Flood Insurance Program (NFIP) in order for its citizens to purchase flood insurance, to obtain certain loans, subsidies, or grants, and receive disaster assistance. To participate in the NFIP, the Town must adopt FEMA’s Flood Insurance Rate Maps (FIRMs) when revised. FEMA and North Carolina Emergency Management (NCEM) have re-studied areas throughout the state and issued finalized FIRMs that will be effective August 28, 2018. The SFHAs within the Town are changing to a minimum degree, with an overall significant reduction in SFHA Floodway zones, very little increase in base flood elevation in existing SFHAs, and little expansion of flood zone boundaries. The current FIRM, known as effective maps, and the new FEMA approved, preliminary maps, can be viewed at http://fris.nc.gov/fris/. Homeowners and renters outside an SFHA can still purchase a discounted flood insurance policy referred to as a Preferred Risk Policy. More than 20% of flood claims come from properties from outside high risk SFHAs. Individuals can contact their insurance companies or visit https://www.floodsmart.gov/ for additional information about flood insurance policies. Founders' Day entertainment lineup will be announced soon! Check the Founders' Day web page for updates and details. The Founders' Day Vendor Applications are available here. Deadlines for food vendor applications is August 3 and for all other applications is August 24. 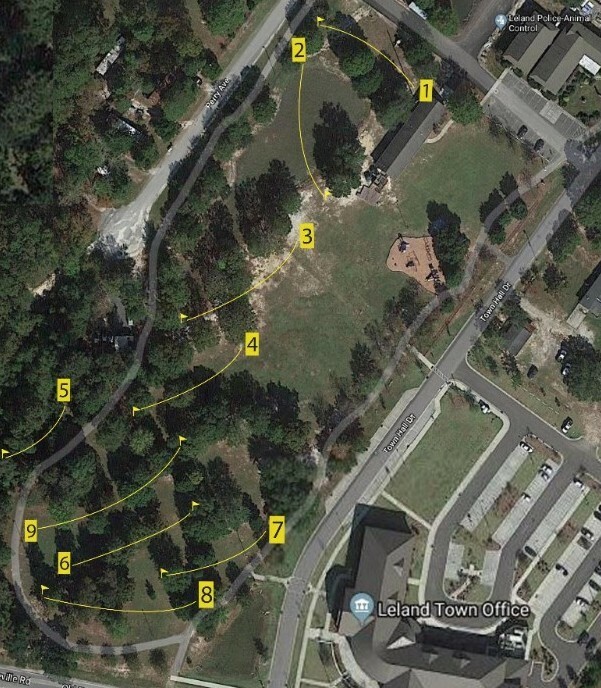 Leland Parks and Recreation has installed a temporary 9-hole disc golf course at Leland Municipal Park, thanks to active disc golf enthusiast suggestions. All holes are rated Par 3 and range from 150 to 300 yards. Rules, regulations and course details here. Silk Groove, The Hottest Party Band on the East Coast, will be at the Leland Cultural Arts Center August 17! Listen to all your favorite Classic Soul and Beach Music songs performed by an 11-piece show band which features live horns, bass keyboards, guitar, and of course Chris “Silk” Trey on drums, along with a strong five-man front line of vocalists! August 17, 7:00 p.m. to 9:00 p.m.
Bring the entire family to this annual LCAC Open House! This free event offers fun for everyone including: activities for children, a chance to meet the instructors and see their work in the Instructor Showcase, live art demonstrations, tours of the facility and more! 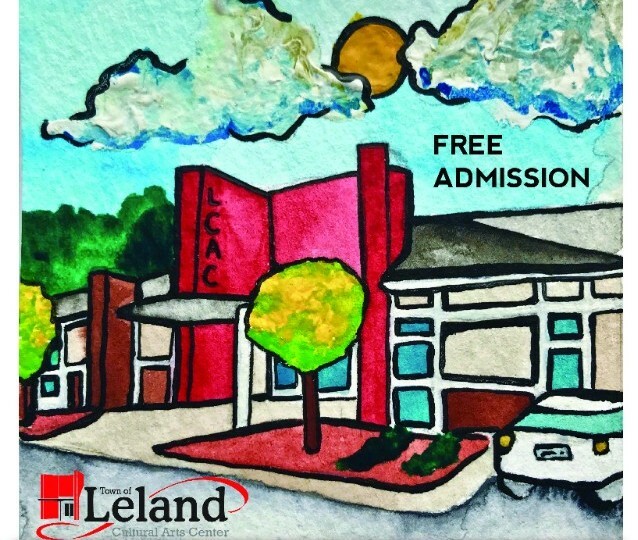 August 25, 10:00 a.m. to 2:00 p.m.
Leland Cultural Arts Center will be accepting applications for the 2019 Gallery Program August 25 through September 21. Applications and details will be available online August 25.